Any time “The Big Game” comes around (which for me could be a night of Seinfeld reruns – who needs an excuse to eat handheld comfort), there are a couple things that rank super high on my must eat list. Has to be handheld. Has to be a least a little spicy. And most definitely has to be as addictive as possible. The kind of food that you immediately need more of, and about 1/2 hour later look up and realize the food apocalypse that just went down in front of you. These wings might just be my favourite fast wing recipe. 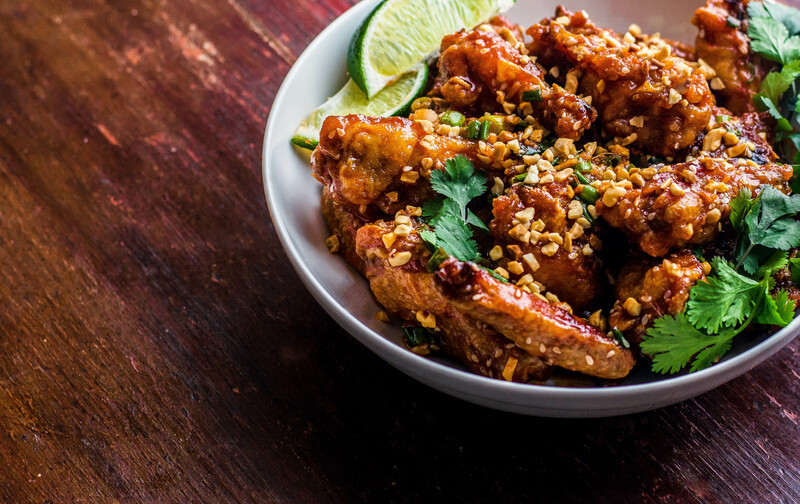 Sweet, spicy, and nice and crunchy. Perfect for game day….or any random Tuesday. Pat dry the wings with paper towel. Toss the wings with the vegetable oil, and season with salt & pepper. Bake on a tray lined with parchment paper for 45-50 minutes, until cooked through and nice and crispy. While your wings are baking, make your sauce. Combine, Gochujang, soy, maple, vinegar, ginger, garlic, sesame oil, and lime in a medium bowl. Add your melted butter, and whisk well. Set aside. 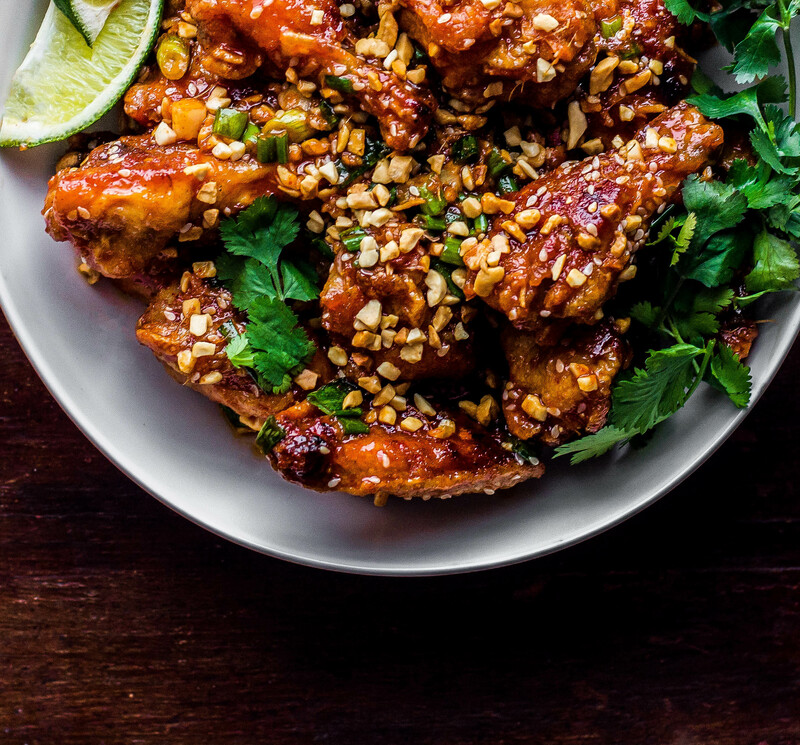 When your wings are done, toss them with your sauce, and sprinkle over the sesame seeds, green onions, and peanuts. Toss once more. Eat. I have found a new blog! These wings look delicious! I eat what I want on Saturdays…and I’m already eating a chicken biscuit so…can’t wait until next Saturday to try these out! My mouth is watering!!! These wings look ridiculously good. Great job! I made these tonight. They were fantastic. Didn’t change the recipe a bit and it was spot on. Thanks! I’ve already made two of your recipes this week and going to make these tomorrow! I’m a fan!! I just made these, and they were lovely! Great flavour and so easy to make. Perfect for the weekend! I have my berry loaf in the oven and prepping my for my wings! Made these tonight. Sooo good!